Can I use E-Stickers with the Adobe Acrobat 9 or Earlier? No. The E-Stickers only work with Adobe Acrobat X, XI or DC. However, the E-Sticker will work with the free Adobe Reader XI or DC so if you are using Acrobat 9 or an earlier version, you can download the free reader and use that to E-Sticker your documents. Can I use E-Stickers with the Free Acrobat Reader? YES! … But only Adobe Acrobat Reader XI or DC. Adobe made significant changes in Reader which now allows for expanded editing and commenting features. That means our plug-in now works with the free Adobe Reader. We are, however, huge supporters of the full version of Adobe Acrobat. If you are interested in upgrading or purchasing a full license of Adobe Acrobat, please read the question below about which version to purchase, Adobe Acrobat Standard or Adobe Acrobat Pro. We strongly recommend Pro for folks in the legal community. Can I use E-Stickers with other PDF editors such as nitro or Nuance? Kind of.… While the E-Sticker has not been programmed to run within third-party PDF editors, you can always use your program of choice to edit your PDFs. When you are ready to add exhibit labels you would open the free Adobe Acrobat Reader XI or DC, select your E-Sticker and start stamping. If you need to download the free Adobe Acrobat Reader please do so from the Abode website. Can I use the E-Sticker with PDF/A compliant documents? Most likely. By their very nature PDF/A documents are stripped of any metadata, stamps, annotations and anything else that can be altered in a PDF file. 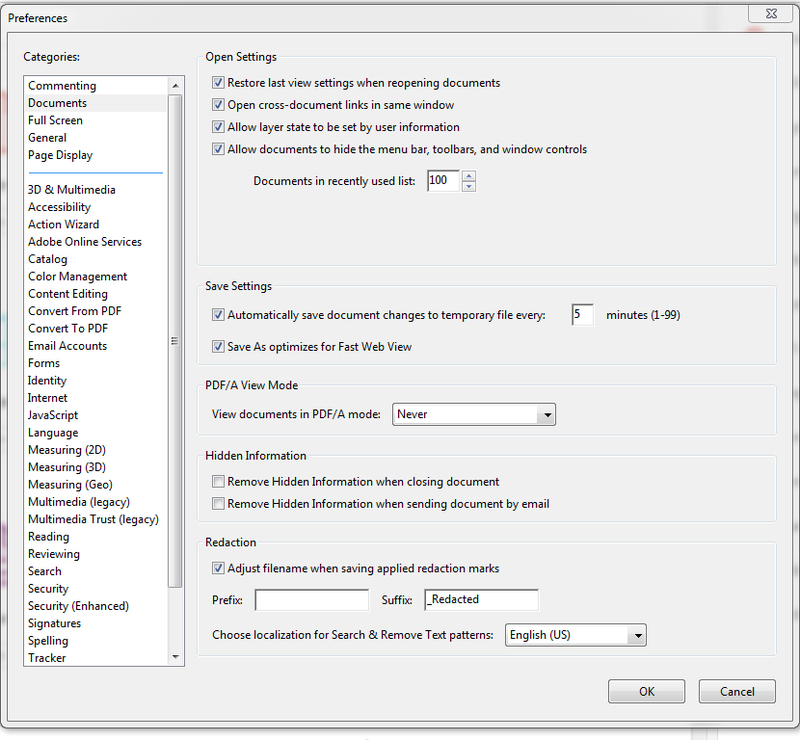 You can turn off the PDF/A view mode by following the steps below. Once the PDF/A view mode is turned off you should be able to E-Sticker your document. Do I need a license for each person using the E-Sticker? Yes. Just like Adobe Acrobat itself, you will need to purchase a licensed copy for each person who will be using the E-Sticker, but we don’t restrict you from putting it on your own desktop and your trial laptop. We want to make sure you have access to the E-Sticker before trial and also during a trial. You will need to purchase a licensed copy for each person who will be using the E-Sticker, but we don’t restrict you from putting it on your own desktop and your trial laptop. We want to make sure you have access to the E-Sticker before trial and also during a trial. Can I remove the www.exhibitsticker.com name from the E-Sticker? No. Every physical exhibit sticker we have used (and still use in certain circumstances), is branded with the company name (i.e., Tabbies, Pengrad, etc…). Our intention for this product is to be a much more convenient and user-friendly electronic version of the Tabbies/Pengrad exhibit sticker. In addition, having the company name on the product is the only way we can assure that we are supporting our product and not someone’s homemade version of a digital sticker. We have received panicked calls from law firms who have had issues with their files upon submission to the court. Come to find out, they had their exhibits electronically stickered by a third party vendor not using our product but a self-made version that wouldn’t flatten properly. With that being said, we understand that this product might not be for everyone. We appreciate you taking interest in the E-Sticker and hope that you find a solution that works best for your needs. We do have a batcher script that we can supply for advanced users who want to automate the E-Sticker process even further. However, it only works if you are using Adobe Pro X , XI, and DC and an All-In-One E-Stickers. You will need to contact us using the contact form and tell us which All-In-One version you purchased. We do caution our customers that this is a powerful tool and should be used with caution. If there are any questions about how to use Action Script, then this tool is not for you. It is imperative to keep an original/clean set of your production set as a backup. 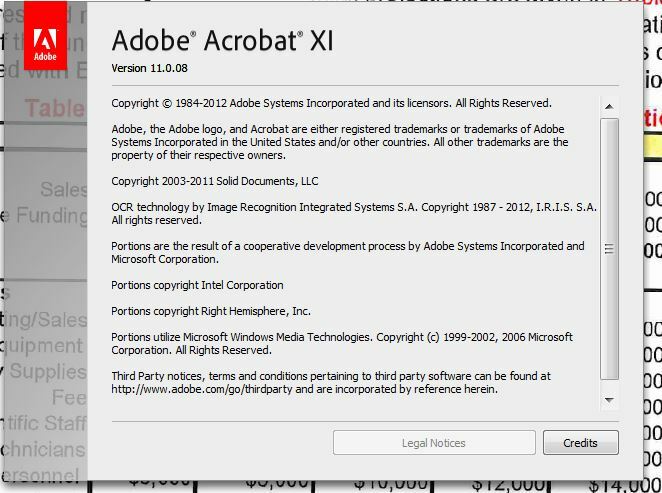 How do I know what version of Acrobat I have? The best way to check what version of Adobe Acrobat you have is to open Acrobat and click on Help and then About Adobe Acrobat. This will give you the version and a version number (ie 10.0.1) which is helpful for us to know when diagnosing any issues. The E-Stickers will work with Adobe Acrobat Standard or Pro (versions X, XI, & DC) and the free Adobe Acrobat Reader (XI & DC) program. Version 9 or earlier are not supported. Should I buy Adobe Acrobat Standard or Professional? We would be happy to answer any questions you might have about the different versions, etc…just drop us a line using the Contact Us form. Will the E-Sticker work with Adobe Acrobat Standard? Yes for Windows, no for Mac. However, it will work with the free Adobe Reader (XI & DC) so if you are using a version prior to X or Standard for the Mac you can use Reader to add your E-Stickers. If you are about to purchase Adobe Acrobat, however, we strongly recommend that you purchase the Pro version for the reasons included in the question above. Will this work with Adobe Acrobat for Mac? Yes. We have Mac versions for the Free E-Sticker and the All-In-One Styles 1-4. See the Mac User tab on the home page or the Products tab to order. We offer volume pricing on all purchases of 5 or more units. You can mix and match your All-In-One styles, packs or even individual E-Stickers to receive the volume pricing below. The discounts will automatically be applied to the cart. Let us know what you are looking for, we are happy to help! 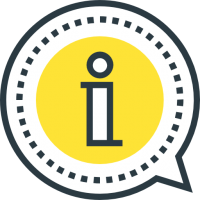 This is for GENERAL questions … if you have a tech issue and need support, please click here to submit a tech ticket. Have a question or comment? Please enter it below.